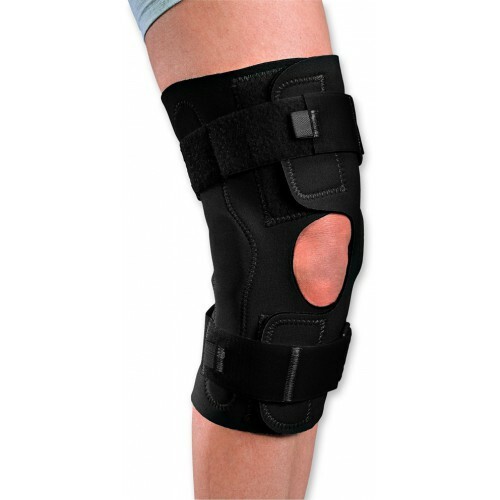 Comfortable, lightweight nylon neoprene provides warmth and compression. Wraparound configuration and strap tabs provide ease of application. Wide contact closure area allows greater fitting tolerance, particularly on the thigh. 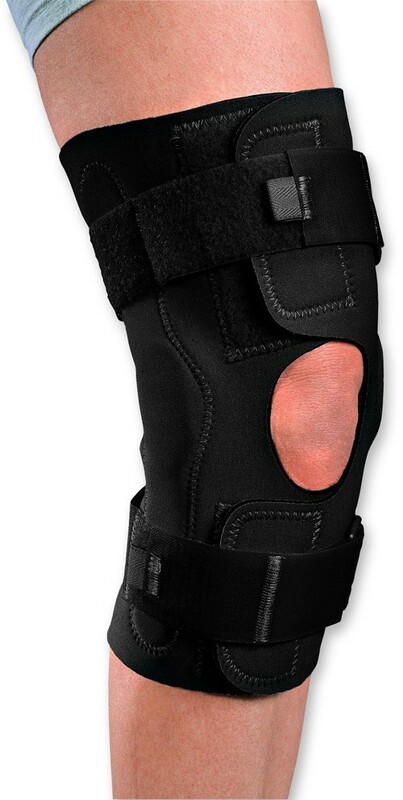 Durable polycentric hinges for medial/lateral support. Open popliteal area eliminates bunching during flexion. To size, measure circumference of knee fully extended. Other sizes available as a special order. Black.